There are times in your life you ask yourself: How did I get here? For me, one of those times was in a rubbish dump at night in Ethiopia with a 60kg wild hyena on my back. My masseur smelt like offal. His table manners were appalling and his bite was strong enough to crush bones. That’s because my masseur was a hyena. 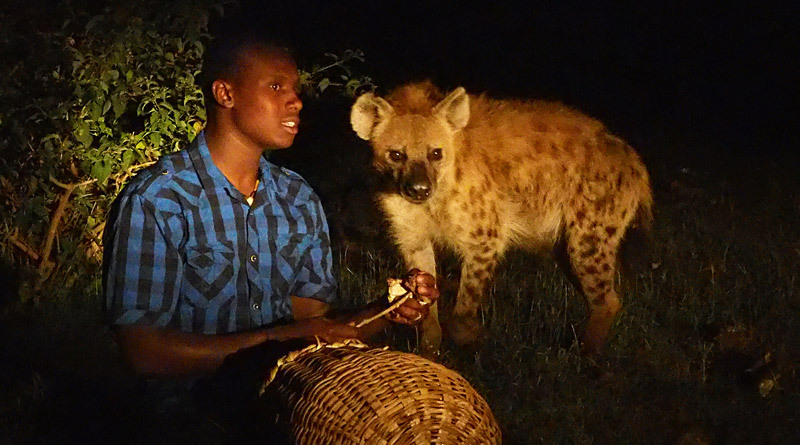 I was introduced to him by Abbas, the latest in a long line of hyena men in Harar, a city in eastern Ethiopia. 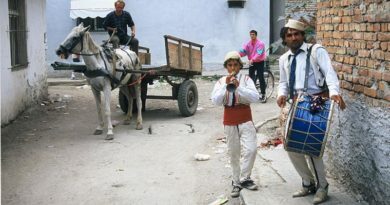 Like his ancestors Abbas makes a living by feeding the hyenas that prowl the outskirts of town. 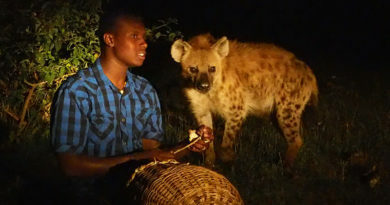 Every night he heads to the rubbish dump with a torch and a basket of meat and waits, first for the tourists — who pay 100 Birr (about NZ$6) for the privilege — then for the hyenas, which he summons by whistling and calling their names. Abbas’ specialty is persuading a wild hyena to climb onto his back by dangling a piece of offal above his head. 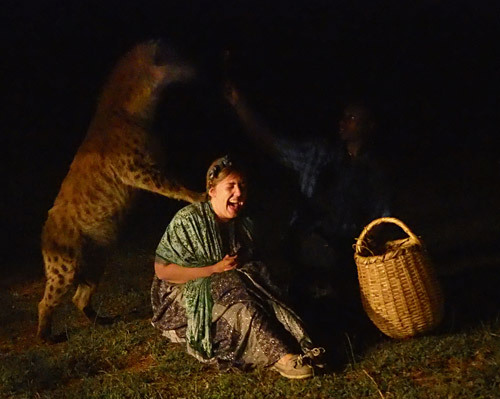 And if the tourists are game he’ll do it for them too — he calls it a “hyena back massage”. I was keen, but to get my massage first I had to find the hyena man and a hungry hyena, which was more difficult than I expected. Until a few years ago hyenas were a common sight in the back streets of Harar as they rummaged through skip bins or scrounged scraps from restaurant tables. They’d even come to the hyena man’s house, just outside the old city walls, for their nightly feed. Alas, the hyenas no longer make house calls so Abbas has to go to them, with the nightly rendezvous taking place in a rubbish dump a few kilometres out of town. Abbas blames the construction of a new road for scaring off the skittish animals. Kala emerges from the gloom. My first attempt at finding the hyenas failed dismally. On a moonless night I had no hope of finding the feeding site on my own so I went in search of a reasonably priced bajaj, a three-wheeled taxi known in Asia as a tuktuk, but the best fare I could find was 300 Birr. They were trying to take me for a ride. The next night I started looking before nightfall and eventually found an agreeable young man who offered to take me to the feeding site and back for 200 Birr. We set off just after dark, bumping over rutted clay roads until my nose told me we were getting close and the headlight picked out Abbas at the edge of a malodorous rubbish dump. While we were waiting Abbas told me he’d been feeding the hyenas with his father Yusuf since he was 13. 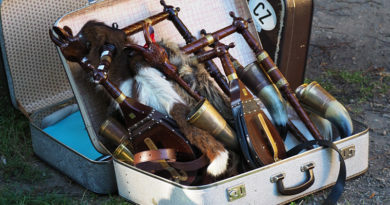 Now aged 20 and with a wife and a son of his own he had taken over the family business. 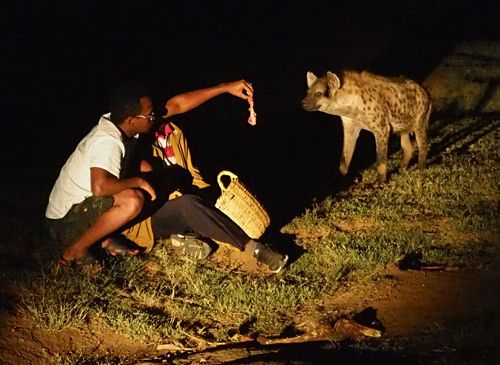 Harar’s hyena-feeding tradition began centuries ago when the animals were given porridge during droughts to discourage attacks on livestock, but Abbas’ forefathers started in the 1940s for “spiritual reasons”. Eventually word got out about the hyena man and tourists started turning up, spawning a business which had so far spanned six generations. But on this particular night business wasn’t going well. Abbas called and whistled, then called some more. 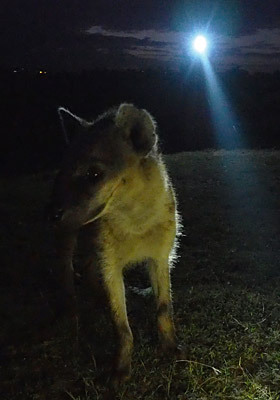 At one point we heard a hyena just metres away — once you’ve heard that eerie, whooping howl you’ll never mistake it for anything else — but then it slunk back into the fetid darkness. After an hour Abbas gave up. The problem, he explained, was that the hyenas were simply too full. 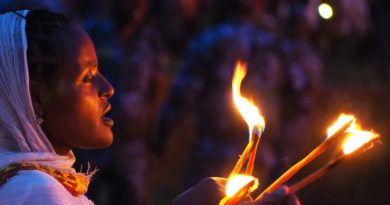 Harar had just celebrated two major festivals — Ethiopian New Year for the Christians, Eid al-Adha (the Feast of the Sacrifice) for the Muslims — which meant every family with a few Birr to their name had slaughtered a sheep and dumped the entrails by the roadside. Harar’s hyenas were so bloated with offal they couldn’t be bothered coming out of their dens for a few scraps. On my third and final night in Harar I was ready. I’d memorised the previous night’s route to the dump and set out on foot while it was still light. That didn’t stop me getting lost. 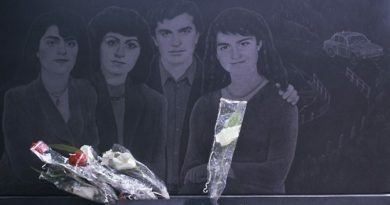 At one point I realised with horror I was walking through a Muslim cemetery and expected to be berated, or worse, by a villager waving wildly with one hand and carrying a large scythe in the other. Instead he took me gently by the hand and led me to the proper path. From there the stench led me to where Abbas was waiting. This time the hyenas were hungry. As darkness descended they emerged from the thorn bushes and rubbish heaps, skittish at first, circling just outside the torch beam’s reach, then slowly gaining courage and padding silently closer. Despite that strange, sinister gait and hunched shoulders, up close they weren’t as ugly as I’d imagined, with dog-like faces despite being more closely related to cats. The first hyena to come close was one Abbas had named Kala. 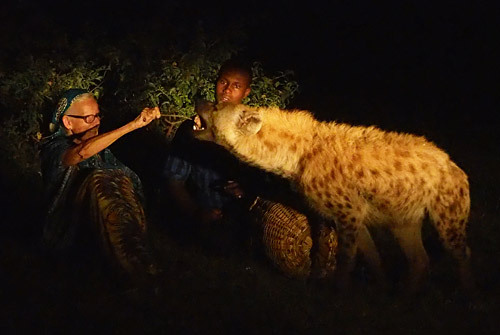 He showed me how to offer Kala scraps of meat on the end of a stick — the stick is essential because hyenas aren’t delicate eaters, with jaws which have evolved for crushing bones — while the rest of the pack emerged from the darkness. Soon there were seven hyenas skulking around us. Then Abbas signalled me to crouch on my hands and knees while he held a chunk of meat by my left ear. I felt the hyena plant its big padded paws on my shoulders and felt its claws press into my flesh. For a moment I wondered how I’d ended up in a rubbish dump in Ethiopia with 60kg of wild carnivore on my back; then I felt its hot breath and the coarse fur on its jaw brush my cheek as it seized the meat. I went to bed happy that night but when I woke up the next morning a putrid smell filled my nostrils. After some searching I traced it to my sweater where a series of holes and the stench of decaying garbage marked the spot where the hyena had rested its paws. It took two washes to get the stink out, but I’m not complaining. I wouldn’t have traded my hyena for the world’s sweetest-smelling massage therapist. See my other story for practical travel tips and six cool things to do in Harar that don’t involve hyenas.